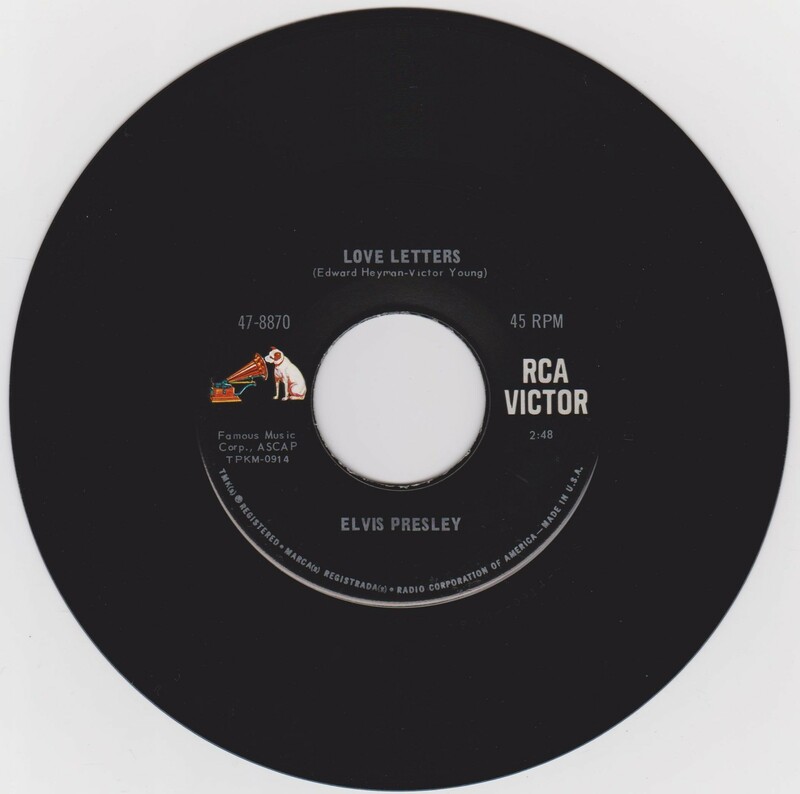 Brief History : Love Letters was recorded May 25th, 1966 at RCA Studios, Nashville & Come What May was recorded 3 days later at the same location. 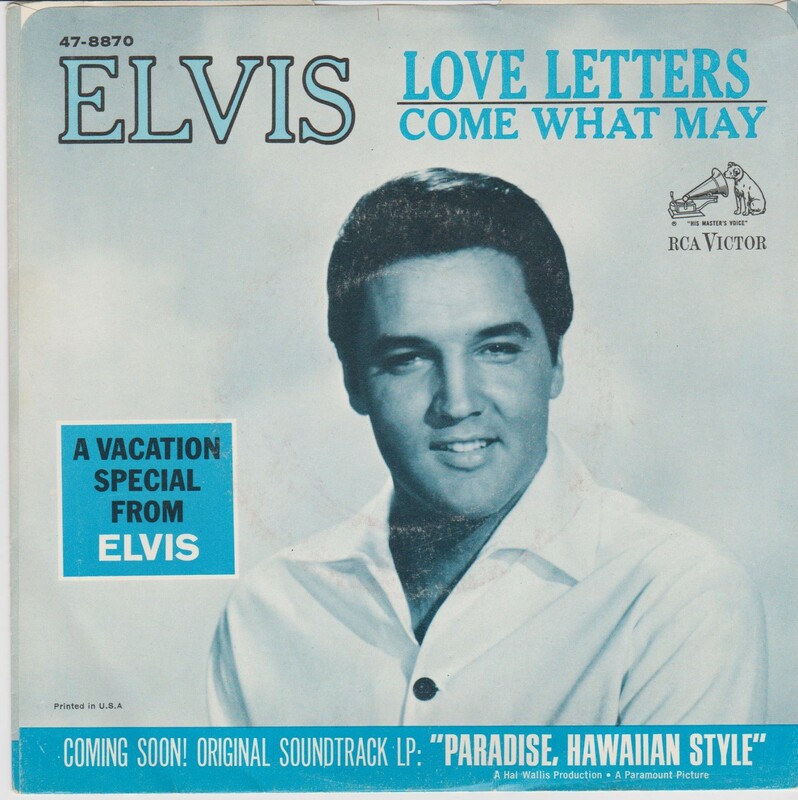 Details : Front Cover : Picture Sleeve. Matrix Number Side 2 : TP - KM 0924 - 4S A2 A (Machine Stamped) *NOTE* Coming soon! 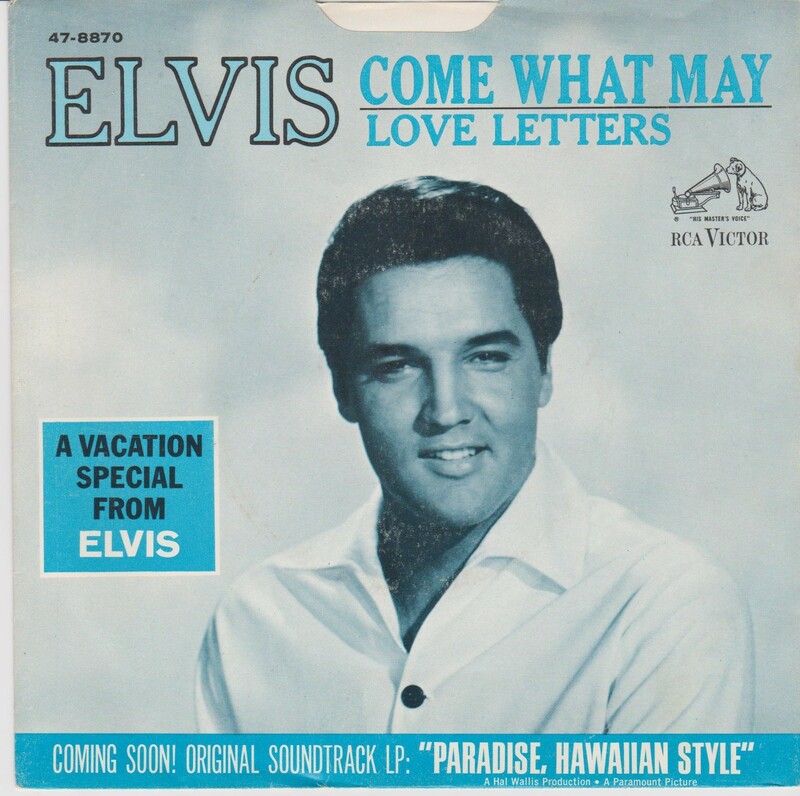 Original soundtrack LP: "Paradise, Hawaiian Style" sleeve.